Stay updated with the Apple Series 1 Watch in 38mm space gray aluminum case with a black sport band. Powered by a Dual Core processor, this series 1 smart watch operates on WatchOS 3, which is fast and responsive. With an array of exciting features and amazing apps, this smart watch lets you perform everyday tasks with significant ease. This smart watch has an OLED Retina display, which is two times brighter than its predecessor. In addition to being splash resistant, this smart watch by Apple features an Ion X glass that protects the screen from scratches. Also, it has Force Touch that lets you access the apps instantly. 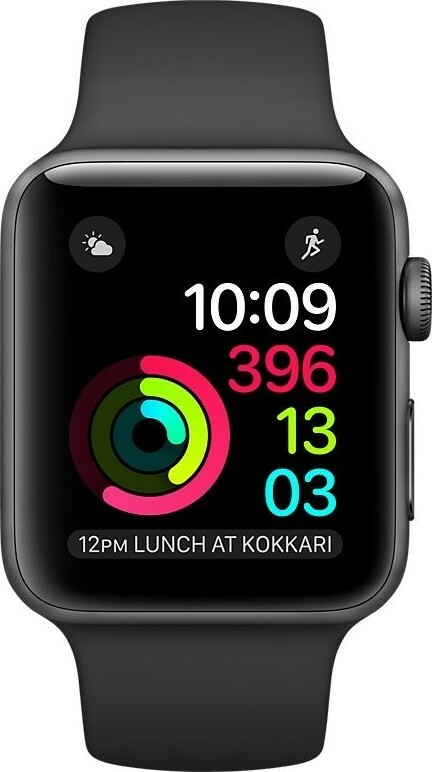 Additionally, this Apple smart watch also has a digital crown that brings all the control options such as scrolling, zooming, etc. on the screen. Sharing is easy via built in Bluetooth while the WiFi ensures easy updating. Installed with WatchOS 3 operating system, this smart watch by Apple is fast and responsive. Along with the apps in the previous model, WatchOS 3 offers some new and exciting features. One of them is InstantLaunch that lets you access and fire up your favorite applications in an instant. Those who like to keep a healthy fitness regime, the Breathe App keeps track of your heart rate and speed during exercise and also helps in regularizing your breathing. Also, you can pay for your orders right from the watch using Apple Pay. Apple has installed this smart watch with a GPS that tracks your location without an iPhone. So navigating through new and unknown streets becomes easier. In addition, this smart watch by Apple is water resistant for up to 50m. Fitted with an Ion X glass, the display screen remains scratch free. 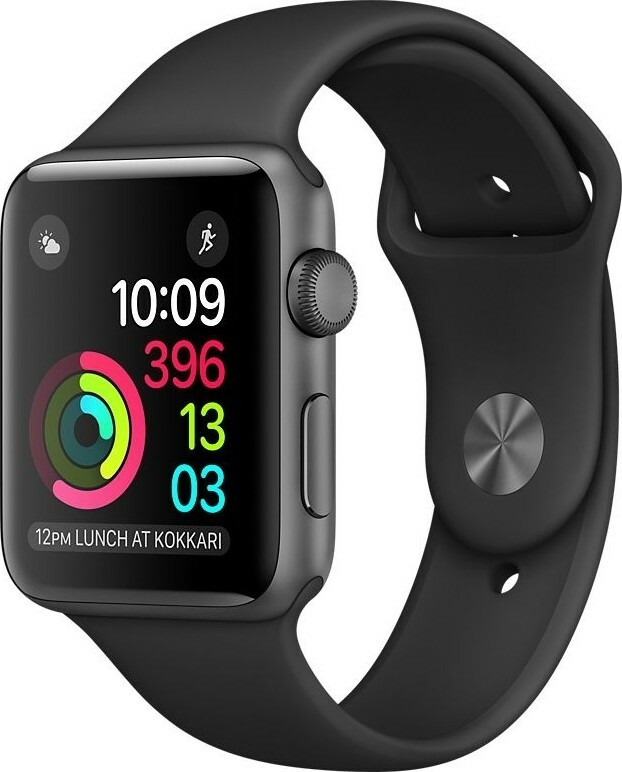 We offer express delivery to Dubai, Abu Dhabi, Al Ain, Sharjah, Ajman, Ras Al Khaimah, Fujairah, Umm Al Quwain, UAE for Apple Watch Series 1 42mm Space Gray Aluminum Case with Black Sport Band | MP032. We offer the best price for Apple Watch Series 1 42mm Space Gray Aluminum Case with Black Sport Band | MP032 in Dubai, UAE. Buy now with the best price!